Before the internet, searching for interior design inspiration had to come from home magazines, TV and books. But nowadays, with the rise in digital technology, social media and interior blogs, there is an infinite supply of interior inspiration for children's bedrooms, that certainly don't scrimp on style. Pinterest has quickly gained its popularity, with the ability of pinning a look for a later date and organising your favourite designs and rooms virtually, there's no wonder that it has wiped out the old task of creating collages and mood boards. Being inspired by all things design led and stylish, we find ourselves pinning away and discovering fantastic new products all of the time that we can share with you all on Birdkids. To let you in our favourite rooms and inspiration too here is a dose of interior inspiration for your children's bedrooms! We all have serious envy at The Boo And The Boys collection of kids rooms that they share on their Instagram and blog. Like this party time kids room, it really is the little details that make this colourful room come to life! 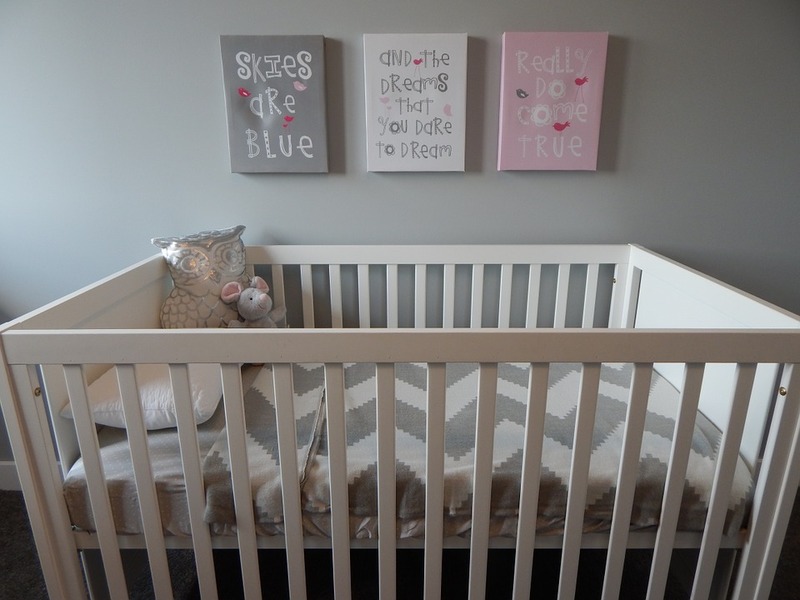 From the mini hot air balloon and colourful bunting to the duvet, making a bedroom visually exciting for a child like this will raise a smile on everyone's face! Making it a safe, and fun haven for them to have plenty adventures in! One of the simplest ways to add a touch of glitz, character or charm to a child's room in an affordable way is with some form of wall art. Most wall graphics are easy to apply and can be removed when you want to update the style of the room. Whether you want to feature one big graphic, a series of prints, or create a pattern with hearts, stars or whatever takes your fancy, it can be done in a tasteful way that looks minimalistic against a white, cream or black wall. 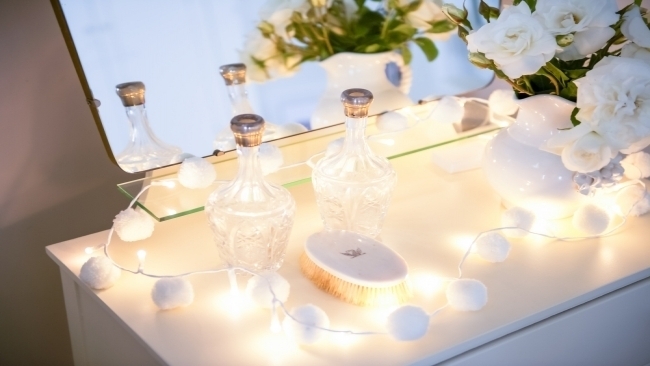 It's so easy to achieve a pretty glow when you can illuminate the room with garland lights, fairy lights and lamps! Fairy lights are a favourite as they can easily be draped just about everyone and most are powered by batteries which make them safe, and with no worry about where the nearest plug socket is! We adore these cute pom pom lights by PomPom Galore. 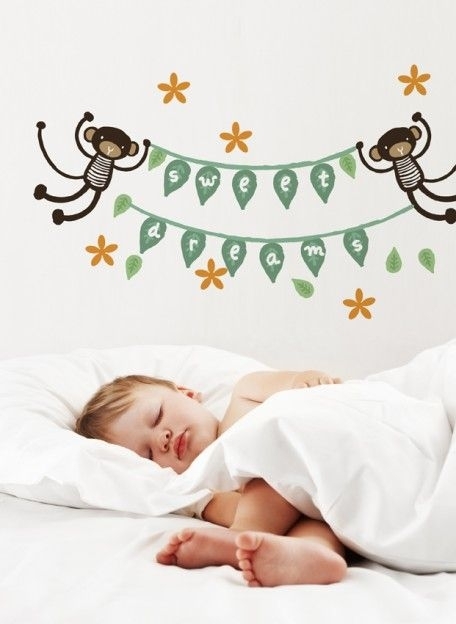 They're perfect for decorating bedrooms, playrooms, or parties! Once the main foundations of the room have been finished off, it's about those small finishing touches that really do complete the look of the room. Whether you're looking to create a themed room or one with pastel shades, we have a great collection of items to help you kit the room out. We love the simplicity of neutral bed throws with a pop of colour from some quirky and cute pillows! You can view our full range of bedlinen, blankets and cushions here. There really is an abundance of interior inspiration out there at the end of a click, providing us with endless amounts of creativity that we can mould into our own ideas to create a haven for our little ones. If you want to make those special finishing touches too, you're sure to find something magical and exciting within our Living range of products at Birdkids! Look out for future blog posts on interior design on our Facebook & Twitter pages! Kitting out a nursery for the first time can be a complicated affair; "How kid-friendly do I make it? What do I need to include? What style do I go for?" Whether you've welcomed a newborn into the world or you're bringing up a toddler, sleep time can be a source of dread for many parents.